To start things off today, I'd like to thank you all from the bottom of my heart for all of your kind comments on my new bedroom. You all blew me away with all of you sweet words and I'm so happy that you all like it, we sure do! I've spent the past week looking through each of the 145 ORC linking participants and have come away with so many great ideas from all of these beautiful spaces. So, rather than choosing favorites, (that would be too hard! 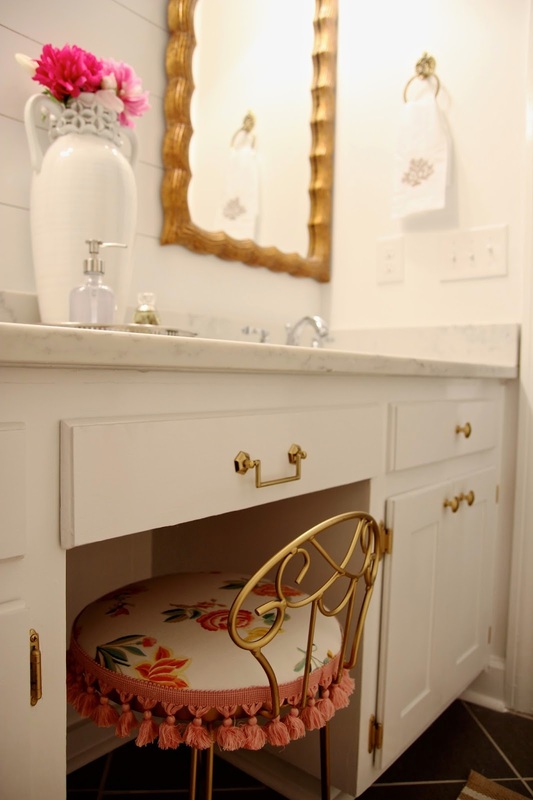 ), I thought I would share some specific elements of different rooms that caught my eye. 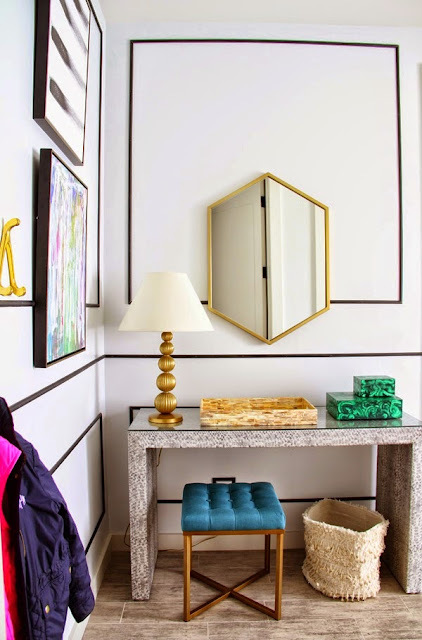 Many of these ideas can be adapted to a variety of spaces, and I hope they get your wheels spinning so that even if you're not redecorating an entire room, you might see a fresh idea to incorporate here and there. Please, if you'd like to pin any of these images, click the link below the photo and pin from the original source. Thanks so much! 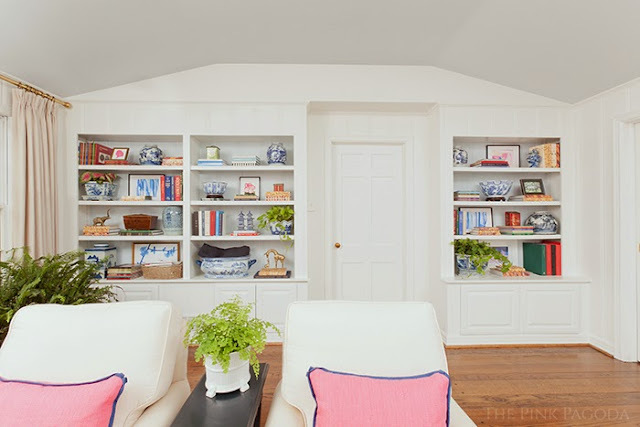 Honestly, I don't enjoy styling bookshelves. So when I see great ones, I take note! After seeing these my living room shelves got a little freshened up. 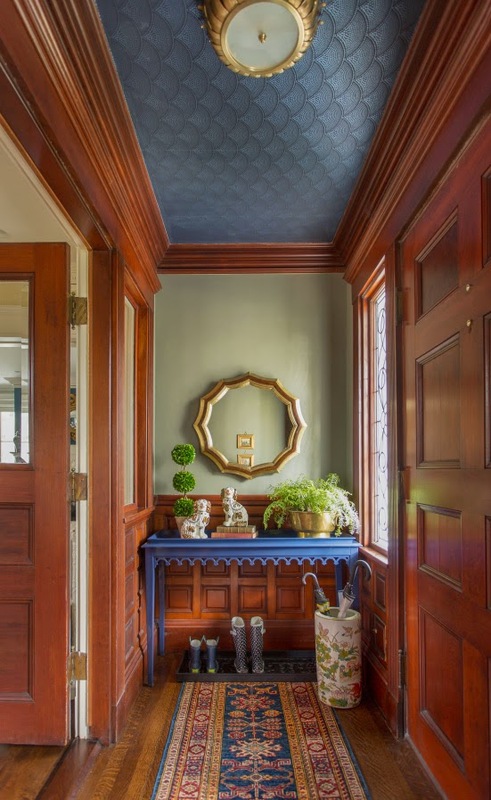 Love this bold pop of color amidst some very traditional elements, and there's no way to overlook the beautiful detail on the ceiling! 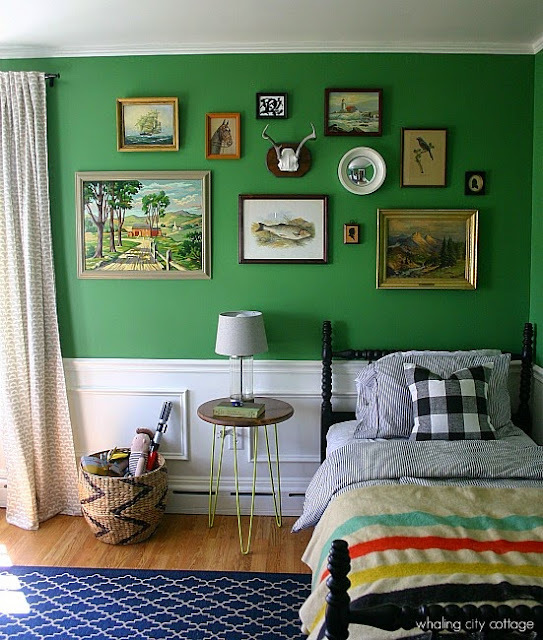 Simple moulding added to a crisp wall adds so much interest. 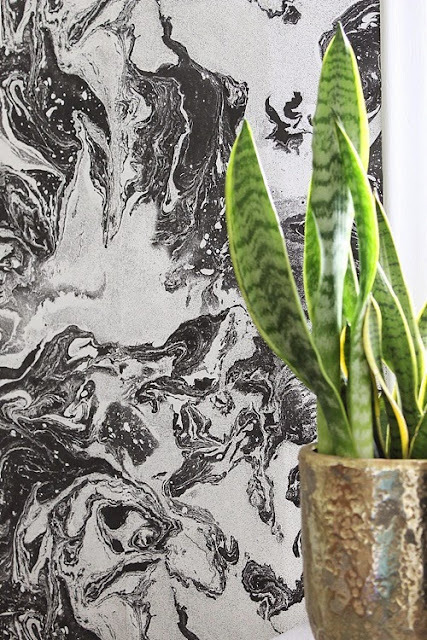 One feature wall done with great wallpaper can make an amazing statement! 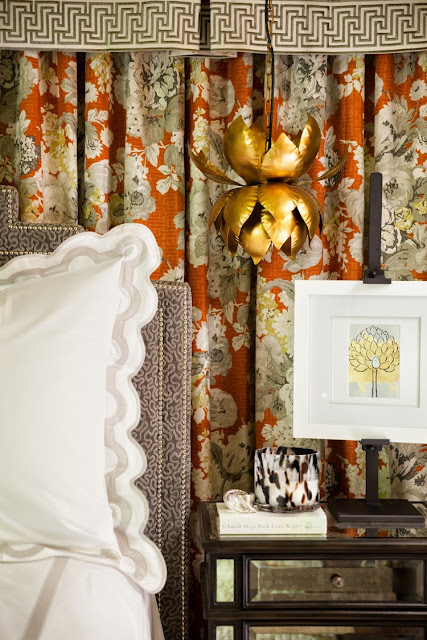 Easy upgrade- add trim to bamboo or roman shades to create a custom look. Pick an item and display it en masse, it can look fantastic! Also, special lighting can accentuate the fun and draw attention to a collection. Love these pendants used at the bedside (same ones that are in my kitchen!). 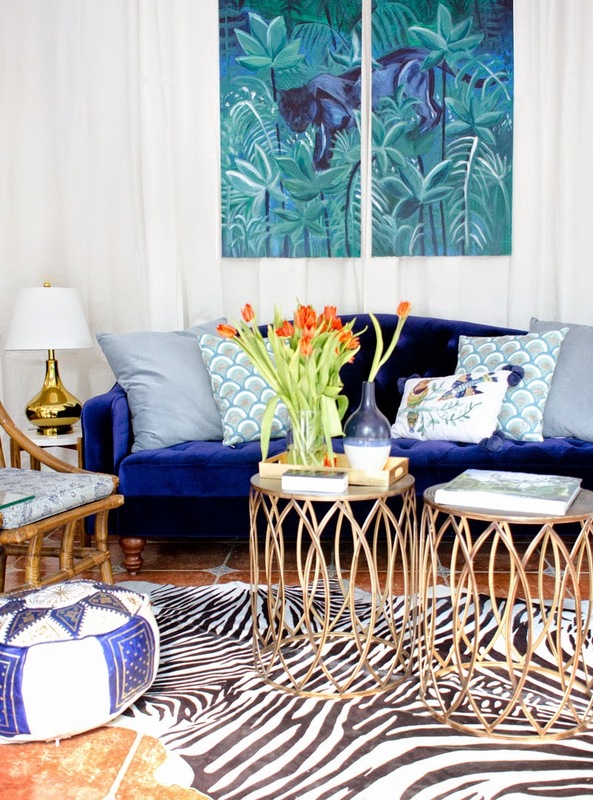 The layers, details, and fabrics in this room are just yummy, too. Often laundry rooms have zero natural light. A big mirror really helps bounce the light around! I loved this tip... use Silly Putty to display plates or artwork on a tile backsplash with no damage to the tile. Crates turned sideways and stacked, easiest side table around! 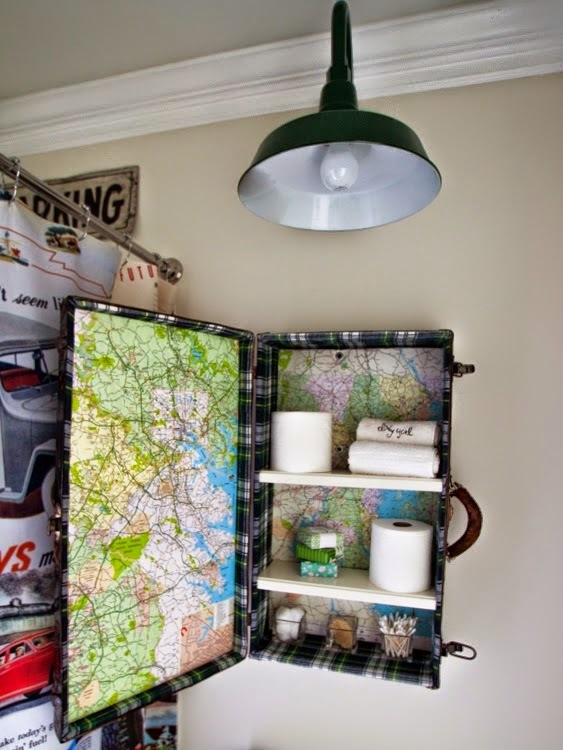 Use a vintage suitcase as a medicine or storage cabinet. Proof that details matter... how cute is that fringe on the vanity stool? 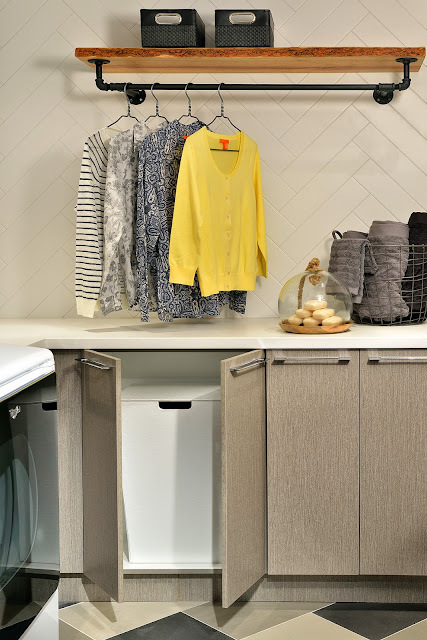 The live edge wood shelf with an industrial hanging rod is perfect for this laundry room. The key to a great craft room? Organization! 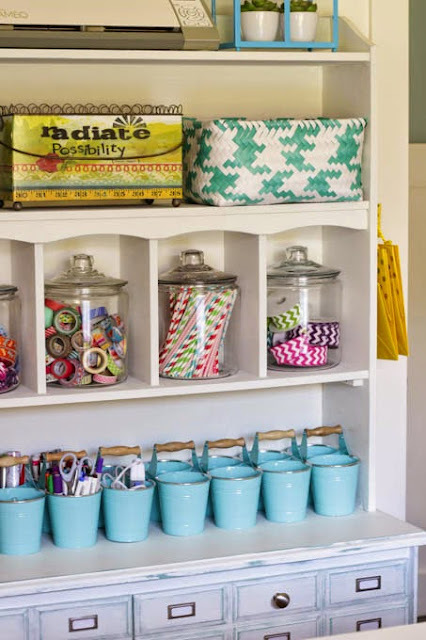 Love all of these cute containers that incorporate supplies as part of the decor. Bold color on the walls isn't overpowering with white wainscoting to balance it out. 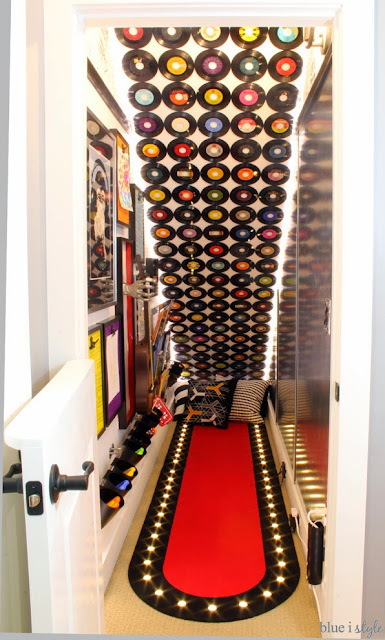 To wrap up the inspiration today, how about this room done by a HIGH SCHOOL student?!? Well done, Kevin! Thank you so much for the mention in your takeaway ORC post, and what a great idea to focus on tips readers can use in their own homes. Very smart. Kevin blew me away, too--he worked on that during exams! 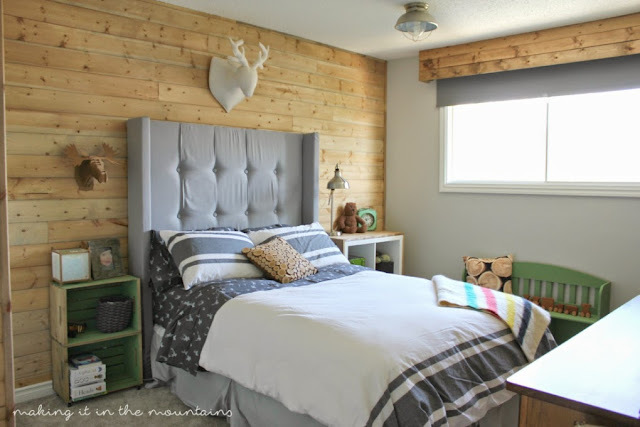 Your master bedroom turned out just gorgeous--the sitting area makes me wish our master bedroom was bigger--well done! 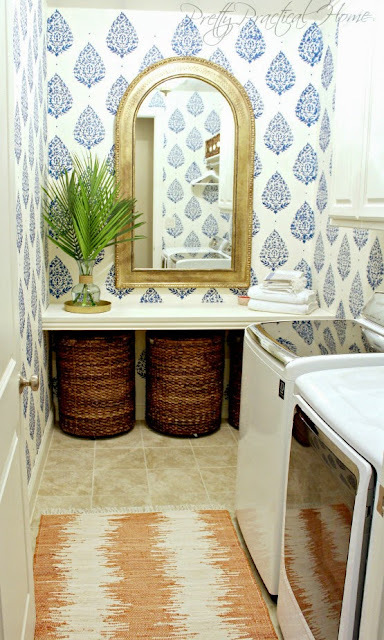 Great recap Jennifer, and I loved your takeaway ideas! It truly is amazing what can be accomplished in only 6 weeks! I think my favorite thing is how different each room is, how each blogger's personality shines through their choice of decor! Hi Jennifer, great takeaway ideas. I still can't get over how Kevin is in high school! I loved going through all the linkers. So many amazing ideas. Fantastic round up of tips and takeaways from the ORC! Thanks for including our under stair playroom... I love those records on the ceiling so much that I still just stand at the door and stare at them sometimes! ;) And your new room, of course, is stunning!! 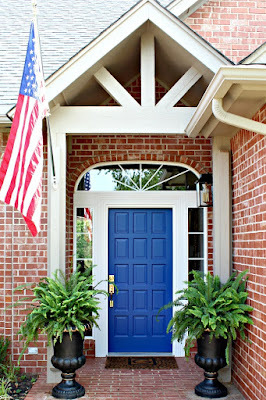 Thank you fo featuring Mimosa lane!! So many of these are my favorites too! 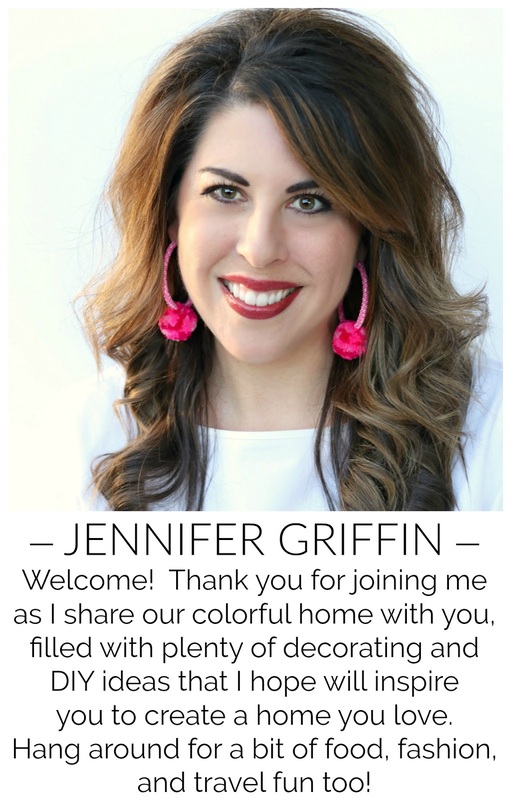 Love your round-up Jennifer! Like I said, ORC is just so full of inspirations to be had, and you just stated some of these so nicely here! Thank you SO much for sharing my room, I am honored to be in such amazing company! Fantastic roundup! !